I’m only 38 now but I lived at 31 St Peters Road with my older bother and younger sister, for many years as children. I remember Michael Pelmber and his mother he was always such a gentle man and lovely to talk to, I remember his mam used to hide her money behind a painting on the wall, and Michael would always give me books to read. Margaret Willimot with the cats and her sons Timothy and Simon I was always in her house playing with her grand daughter and Mrs Fisher who was always well dressed she loved my little sister Louise and would always call her over give her sweets and money but only to her and she sold my sisters warts on her hand to me for 50p. I remember my sister telling me one morning Mrs Fisher had died and she came to see her to say goodbye. We found out later on that day she had died. Spooky. My sister now lives in Australia but she always loved Mrs Fisher. Me and my sister have many tales to tell about St Peters Road but we never liked that house we always felt scared as children living there. We also read about the history and bombings so that probably made us more scared. I remember Michael well and I remember him as you describe him a nice gentle person. I can’t remember the date of his accident but have always been impressed by the way he coped with his horrendous accident. I never pass Hartburn without thinking about him. Does anyone remember 2 brothers from St Peters Road one called Brian and a name like pemuler… also a couple called Bracknell they were related to my mother. I knew the people you mean, Brian and Michael (Bunty) Pelmear quite well. They were in St. Peter’s Road we were in Waverley Street but our back doors faced each other. Sadly both are deceased, Brian died at a young age, when he married his first marital home was in Waverley Street, I believe that he was President or a similar position in the Autistic society. Michael suffered terrible injuries in an accident but did wonderfully, I don’t think that he married. Not too sure as to when he died as I moved away but was told that he had passed away. Unfortunately I have no knowledge of anyone by the name Bracknell, nor any idea as to where they lived. I recognise your name, I believe that you lived in Dennison Street next to the Russell and Evans families. Trish you have done it again. I knew Bunty before and after his accident a really nice person he worked with my aunt I think at Tarslag and she told me he always asked about me. I only met him a few times after I left but I have not met anyone since who coped with their problems so well. I remember him learning to cope with smoking after plastic surgery it never seemed to get him down and I hope it didn’t. David, I knew Vi and Jack Bracknell and their daughter Julia. They moved from St Peter’s Road to Fairfield, but both Vi and Jack have passed away. Vi’s maiden name was Watson. Do you recall who was related to your mother? Vi was related to my mother who was also a Watson from Thornaby cousins I think. My mother was called Gwen. I remember Vi playing the accordion and Jack was a sharp dresser. Another cousin was Harry doc Watson who was munitions officer with the Dam Busters, just recently there was an article about him in the Darlington and Stockton Times. I wish I had kept in touch more but sadly didn’t. David, thank you for explaining your link with the Watsons. My wife (i.e. Doc Watson’s daughter) was pleased to hear about Gwen. She knew May and Ted, and once spoke on the phone to Enid in Canada. I think we’d better continue this conversation off-line and not take up too much of Picture Stockton. I will be in touch. I spoke to docs daughter on the steps of the Sally Army at Mays funeral was she your wife? Enid died a couple of years ago she always rang me on my birthday. It would be good to talk I think you can get my e =mail or phone number from the website I am not good at these things. Hi just came across these old pictures of Saint Peters Road and we are related to Mike and Brian Pelmear their mother Georgina was my nannas mam. Georgina sadly died in 1990 January and Mike died in 1993. We have loads of memories me and my mam going to grans house in saint Peters Road. Brian has since died and his wife is still alive and lives down south uncle Mike used to work at Preston Park Museum in the 1980s. I didn’t know Michael’s name only knew him as Bunty but I always remember the way he coped after his accident. I wish I had kept in touch but sadly didn’t. I hope he was as accepting in private as he was in public. A really nice person. Yes he came to stay at my nannas house for a bit to to get better then when his mam died he moved in to his own flat in Saint Peters walk Stockton. Its nice that people have remembered my great gran and uncles, when we go to Stockton we go past the old street it brings back memories. I was young when they lived there we have some nice videos with uncle Mike and his mam on, nice to see them on the videos. If any one would like any pictures of uncle Mike and his mam Georgina I am sure I will be able to get them to you some how on here. I would love to see your pictures but not very good at these things so if you could sort it out I would be grateful, David. 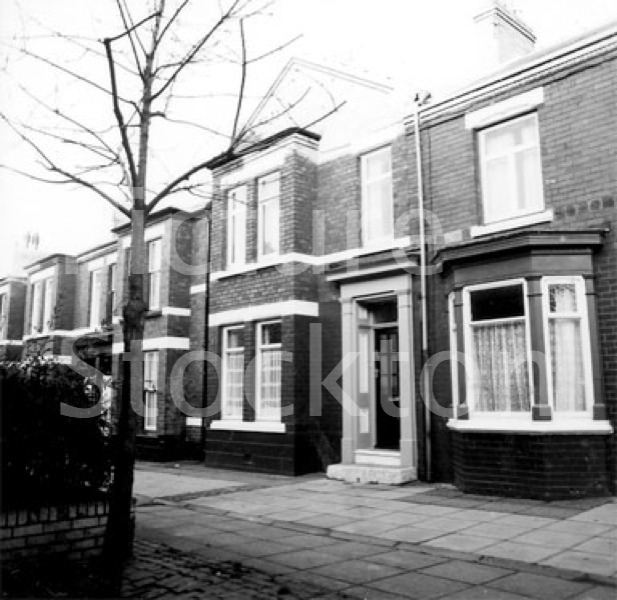 My mams family were from 30 St Peters Road the family name is Thornton, Jack and Muriel were my grandparents then their kids were Margaret, John and Susan (my mam) I would be interested to know if any of you guys remember them? I knew your family very well Jason, I remember them all. My sister Jan (nee Wright) was a very good friend of Margaret, both working at Tingles. We lived in Waverley street, our back doors were close to each other. As far as I know we were all at Richard Hind junior school. I don’t come on this site very often but really enjoy reading the comments, people reminiscing, stirring memories. Hello Trish, do you remember Kathleen (Kitty) Fisher and her husband Eddy Fisher? They lived at 8 St Peters Road. She is my great great aunt and I would love to hear from anyone who remembers her. Sorry to take so long to reply but I don’t come onto this site very often. To be honest I don’t remember your great aunt or uncle, quite unusual for me as at one time I knew many of the people in St Peters Road, although the name Kitty sounds familiar. How long and when did they live there? Some of my family may remember them, I will ask them when I next see them and if they can supply any information I will pass it on. Nice to see David Hooton is still around I went to junior school with him. If he types Richard Hind into search on this site then looks for 1952 he will find our final year photograph. This is all really interesting. I was talking with my mum who is 91 and she was on the barrage ballons in Stockton. My father was a fireman on the railways, and they met in the war. She had been telling me some of the stories and I am going to try and write them up. She couldn’t remember where the stockton site was with the hangars. She knows they could see the railway line embankment. She recalls being in the balloons and repairing them and the smell and the doodle bug bombs coming over. Can anyone help with more information? Mum’s name was Muriel Etheridge and dad was Geoff Sanderson. at the moment but hope to return later this year or early next. Have asked for your Email address will contact you soon as I can. For those who knew/who have referenced Maurice and Phil Ferri I am the eldest grand child of Phil Ferri. My name is Helen Ferri, it is fascinating to read all accounts of these bombings and sad to read about my great grandmother and also Ferri’s Ice Cream shop. Phil Ferri lives in Ipswich now however he is now 84 and suffering from a form of dementia. He has his ups and downs and still has his memory. If anyone would like to get in touch contact PictureStockton for my email address. No 33 St Peters Rd is to the left of the tree on the photograph, night the bombs fell on St Peters and Northcote St. I was sleeping in the bathroom at the rear of the house. I was sharing a pull me down bed with a Cousin who had arrived only hours before from the London area. The bed unfolded at the time of the bomb blast throwing the pair of us on to the floor. I was 10 years old and my sleeping partner only 7, needless to say it seemed that all hell had broken loose. It would appear that 33 St Peters Road may be jinxed! My mother, Mrs June Bateman, set fire to the house with a chip-pan in about 1963/64 when I was a toddler and I vaguely remember the firemen getting my brother and I out through the back bedroom window. This address is listed as our residence on my birth certificate 1960. I have been researching the Ayre family in Stockton for about ten years and would very much like to hear from Geoffrey Ayre. Picture Stockton will be glad to give you my e-mail address, Geoffrey. Please get in touch, thanks. North’s Bakery sold the best bread and cakes. I was born at 33 St Peters Road, December 1942 and remember the new houses being built. Like all on St Peters I loved norths pies and sledging after Hunters vans had compressed the snow. You are correct Ken it was stood down in 1944 and disbanded later. I do know the lads in our factory never paraded again as we were working even harder longer hours at the time on war work. Whether they were excused or just did not turn up I do not know. On a very small point. Frank, I think that you will find that what happened on Dec 11th 1944 was that the Home Guard was stood down – that is that they were not further required for duty. Those who served 3 years+ were awarded the Defence Medal. Gremlins are mischievous imps who cause trouble with all things mechanical, Bob. You could say they have a mechanical bent for bending anything mechanical and mainly aircraft. The odd things that happened in the air at the worst possible time were always down to gremlins. The first I heard of them was Mother using the word when she worked at Goosepool aerodrome (Teesside as it was and whatever it is now) as a female electrician. If things went wrong she would say “those ###### gremlins” after covering my ears. I cannot think why a paper would have headlines of them though the archives may tell us. The Home Guard were disbanded on Dec 11th 1944 and up to that time they did man the Portrack Rocket Site, (Flaming Onions). Middlesbrough Stockton Thornaby and Billingham units did the duty. A chap I worked with, Steve Small, a Sheet Iron Worker at Browns works in Prince Regent Street was one of the men working those rockets up to the end and told me a few stories about the time spent there during raids. It may well have been the Bridge and local residents were in more danger than the German fliers. They all had to go to work after a night on the guns or rockets so would pray for a quiet night, they did not get many from 1940 to late 43. I would say that those of us standing on top of the air raid shelter saw the best fire works display ever until we were removed by anxious parents frightened of what fell from the sky during those raids. It was mainly our own bits and pieces from the shells which we lads picked up and hoarded, it was razor sharp and jagged so maybe our parents were right to worry. Somewhere in the garden at Mill Lane will be a biscuit box full of Shrapnel old bullet cases with the odd Spitfire Cannon case too, I want it back. During the War I can remember at the top and front page of the Evening Gazette pictures of gremlins or such. Maybe 1 or more. I think they represented battles won against the Germans. Am I right or what did they symbolise? I was too young to know. My wife remembers a barrage balloon coming down and jamming between the houses in Beaconsfield Road. With regard to the rocket sites near Newport Bridge; One of my workmates in the 60s, Gilbert Lewis, in the Engineering Drawing Office at the Malleable told me he manned one of the anti aircraft rocket sites, I think he was in the Home Guard, he was a structural steel designer (a reserved occupation) so did his bit in the Home Guard. Was he joking or not, knowing Gilbert all too well, either could have been possible. Ken and Frank, I am pleased somebody else remembers the rocket site, it was a new idea and as you say bits and pieces fell from the sky. It happened with the barrage ballons when lightening struck about twelve of them in a storm. I think like the first barrage balloon operators that got killed with falling cables, quite a lot of people on the rocket site also suffered badly. Probably more than enemy aircraft! The Middlesborough TA Headquarters HAA which my Dad was in, were sent to help the BEF in France. By then my Father was grey haired and middle aged, having been in the first war. He was sent to Grangetown Sunderland. He never heard any more of his old mates! That is why I like to hear from other Teessiders who may know what happened to them. Like Bob Irwin, Norman Kidd, Frank Mee and others I did much of my growing up during WWII and the events are really seared in one’s memory. They have been trawled up in recent days reading the excellent 7 days’s series of small magazines produced by the Guardian/Observer. 12 years and 4 days old when war was declared and taking out on my bike Yellow cards soon after 11 on that morning to local wardens, many of whom did not have phones. This was from the Civil Defence (later ARP) post in part of the garage at the back of the big Barrowcliffe house on the corner of Oxbridge Lane/Oxbridge Avenue as it was then laid out. Even at that age we were grown up enough to follow things in the papers, in our case “News Chronicle” and the Gazette supplemented by BBC Radio. Frank Mee recalls “The flaming onions we called the rockets at Portrack, they flew into the sky then slowly dropped like strings of fiery balls”. There were periods when these rocket AA weapons were manned by Home Guard units, some being recruited through ICI. I remember my Dad coming home from the day shift at ICI to have a meal, change into uniform complete with WWI medal ribbons to go on duty and then sometimes after a quiet night but more than once a busy night come home, change back into his working uniform and back to ICI. I believe that the Home Guard AA units took over so that the Army’s AA units could be drafted into duty for the Normandy invasion, to the Med or the Far East. It is madness for people to suggest to you that the war should not be mentioned Frank, and people like yourself and Bob and Norman, who have such vivid memories of the feelings and practicalities of the times, should tell your fascinating stories as often as possible. Both wars were before my time and I know very little about them apart from what I have read which cannot possibly portray the wars the way they were for normal people living day to day. Children of today need to understand how much was sacrificed for them to live in this country the way it is now. In some cases Norman it is the “do not mention the war syndrome”. I was pulled up a month back for harking back to gardening in wartime during a discussion. My most vivid memory of the Green was the smoke generators, three of them and Dad saying if ever they lit them we would all die of suffocation, I gave them a wide berth after that. The Drill hall emptied and the lads called up in the rush lived in tents at the top of Bradbury Road. They dug trenches looking out over the Billingham Bottoms and we kids in our curiosity went to see what they were doing. We saw an open air cook house and were fed a, to me, wonderful sausage stew, handled a real rifle and looked on amazed as a big machine gun was set up. We had mobile Ack ack guns on the Green for a time and then they all went back to the Drill Hall, it was the phony war period. Barrage Balloon sites appeared on Billingham Bottoms. I watched them working the truck winches as they sent the Balloons up, the size of those balloons and all the stuff hanging off them was unbelievable. Half a day at school “great” mornings one week afternoons the next as they did not want all the kids in one place until the shelters were built in the school yards. The flaming onions we called the rockets at Portrack, they flew into the sky then slowly dropped like strings of fiery balls, they made us feel very safe although after the war we were told they were not much use. The 4.7 guns at kiaora that shook the house when they fired and then you heard the shells whoosh over as they headed out to Tees Bay, that got me out of bed and into the shelter fast. The rapid firing of the mobile Bofors which often came to the Green or the Showfield during the raids, we were actually in more danger from falling shrapnel than the bombs as Dad found out, luckily he was only very slightly damaged. The war gave my generation a lifetime of experiences in its duration. We had highs and lows although I never once thought we could lose. As I grew from a curious kid through school to starting work with the war still on, it all became the norm, six years is a long time to be afraid so we took life by the scruff of the neck and lived it as best we could. Our family lost relations and friends we saw many things people should not have to see and remembered those who died in Pine Street, Norton Avenue and St Peters Road with sadness. Some of us are still around, I only “swing the lamp” as we called it back then if specifically asked now, “Don’t mention the war”? From ten years and eight months to sixteen and six months of age spent with a war going on gives you an insight into danger and hardship which is seared into your memory, I may forget what day it is now and then but those wartime memories will be forever clear cut. I can well remember the day war was declared, we had all gone to a family meeting at my Gran’s house in Moses Street North Ormesby, easy for us, we had a car. Gran was cooking Sunday lunch with mother and all my Aunts, the men were in the yard talking and us kids playing the goat as usual. We knew what it was all about as our parents who had seen the first world war had talked about a coming war for a long time before it happened. Dad was delivering tar-Mac to build new runways at aerodromes rapidly being enlarged, I went with him and saw the fighting planes, double winged Furies which I thought wonderful until a Monoplane fighter dropped in one day. Hurricane or Spitfire I do not know but it made the Furies look obsolete. We were all waiting for the broadcast and as we sat around at eleven with us kids told to be quiet it finally came as Chamberlain said “We are now at war with Germany”! Then the sirens went and total panic, us kids were suddenly pushed into the cupboard under the stairs, it was pitch black and the girls were crying as Gran had always told us to keep out, the bogeyman lived in there. What seemed like seconds later the door opened and wet towels were draped over our heads, we were told to keep them there and the door closed again. They had been told that if war came the Germans would bomb the towns to bits and use gas, we had not taken our gas masks. We could hear yelling from the adults as they rushed around and that was above the crying and wailing in that cupboard. The door opened again and we all shot out like rats from a barrel frightened wet and changed from the innocent kids playing in the yard to kids with a fear of what a declaration of war really meant, dark cupboards and wet heads. Lunch an hour or so later soon put me to rights and we went back home later with mother crying and me wondering why. She knew what was coming we did not. In my case I thought this could be fun and in the freedom it gave us boys and girls as parents had too much to do making life go on as normal as possible it was mainly. I personally was never as afraid again after our ordeal in the cupboard, we became quite blase when the sirens went until the night I thought Hitler was conducting a personal vendetta against myself. It was the night they Bombed the Old Mill, another story. When WW11 started I was only 2 years old. I can remember when the sirens sounded, being carried to the shelter in the back garden. On one particular occasion I remember my elder brother rushing with me to the shelter, there was a horrid noise and he fell with me into the shelter and there was also a loud bang. The following day we realised how lucky we had been because in the yard the concrete was delved in and cracked where a large piece of shrapnel had fallen. Also from our front bedroom window we would watch all the bombers going out on raids. I have just been watching Katherine Jenkins’ excellent programme “The Week we went to War” and it was just like our time. They were serious times, a matter of life or death, not only for the country but the people as well. The North East perhaps did not suffer like London, Coventry and Clydebank from total devastation. Cannon Street and Middlesbrough Station were the worst I remember. The Newcastle London train got a direct hit in the station. I think it was a Sunday lunchtime and the surrounding property was badly hit with many casualties. People today cannot understand what it was like unless you have directly experienced it. Nobody has ever mentioned the rocket site on Portrack Road or Lane? on Picture Stockton up to now. I am sure I am not the only oldy left with these memories. Air raid shelters were placed at STRATEGIC places. For instance the water tanks were called “Strategic Water Tanks” for emergency use. Norton Green had a big air raid shelter on the North West end of the Green and another in a big garden up Junction Road, the home of a relation of “Jessie Mathews” the actress and singer. Thank you Ken Rhodes for your memories of the Big Bang Night on Parkfield and it was good to read that you still remember my Brother Stan. He is currently living in a Nursing Home in Thornaby. He actually attended Oxbridge Lane School and because of his athletic ability he was one of Frank Showell”s blue eyed boys. He worked for some time as a Cub Reporter for the Evening Gazette before joining the Army in the Somerset Light Infantry. Posted to Germany he was transferred to the Durham Light Infantry in Berlin where he was for a time at Spandau Prison guarding Rudolph Hess, former Deputy Fuhrer to Adolph Hitler. Stan was later posted to Korea where he was very badly wounded and has spent many years in a Nursing Home. I remember the night 11/12may 1941 very clearly.I was nine years old and attending Richard Hind Junior School and lived in Camden Street and heard quite clearly the loud thuds when the bommbs dropped in the Dennison Street area.My father who was a part time Air Raid Warden also a member of the local Home Guard was called out to help at the bombed area by a passing member of the ARP.When he came back all black and covered with dust he told us the sad story.I cant remember what day it was but the rubble and damaged houses were still there when we went back to school.I would have been at school with Harry”s brother Stan who was a good friend in those days before I went to Richard Hind and Stan went on to Bowesfield Lane I believe.The book by David Brown which Stan mentioned does give clearly all the details of the bombing in and around Stockton during the second world war. There seems to be some slight confusion regarding the bombing of Northcote/Dennison Streets and St.Peter”s Road.Details of these incidents can be found in the books “Bombs by the Hundred on Stockton on Tees” by David Brown of Hartburn and “Bombed but Booming Dennison Street” by Pauline Nola Vout. These books were available from the Stockton Information Centre. Regarding Ferri”s Ice Cream Shop, Mrs.Isabel Ferri, a Widow, was killed, leaving two boys. The eldest was Phillip and the younger was Maurice. Both attended Stockton Grammar School. Phillip became a Marine Engineer and I remember him sailing as Third Engineer aboard the Port Nelson.I was Third aboard the Port Dunedin. I lost track of Phil for years until I arrived by taxi at the gangway of my Ship Mv Hazelmoor. Another taxi pulled alongside and out stepped Phil Ferri. He was at that time a Boiler Surveyor with an Insurance Company, and we had Boiler trouble when the Donkeyman fell asleep on duty. Phil was checking out the damage that had been caused,I have not seen him since 1962. I think you are correct about that set of bombs, Paul. We lived in Oulston Road then and were down in our air raid shelter. The date was the night of 11/12 May around midnight. Certainly there was a big crater near Hartburn Avenue and the later Bromley Road. I think that it was the Ferri brothers” mother who was killed, not father, as he survived his injuries, I think. The same night bombs wiped out two houses in Grays Road and two others fell at nearby Lustrum Beck and in Wrensfield. May be recorded elsewhere on this site? Trying to remember the name of the younger Ferri but failing so far. Is this the same Peter Stainthorpe belonging to the Stationery family from South Melbourne Vic?. The Ferri parents were both killed but their two boys survived. The boys were brought up by a relative on Adelaide Grove in Hartburn. The older boy, I think, was called Maurice. The younger boy whose name I forget was 2-3 years ahead of me in Medical School and later emigrated to Australia. I think the bomb that hit St Peter”s Road was part of a stick of bombs. One, or perhaps two, fell in a field next to Hartburn School. A third fell in a field just over from Ropner Park next to the Darlington Road bridge. These hits seem to line up on the map suggesting they were part of a stick of bombs. I should have said Northcote Street Numbers 85-87-89 and Denison Street Numbers 19-21-23. Were destroyed. There was of course structural damage to a lot of other houses but those numbered were so badly damaged they could not be saved. Four houses numbers 1-2-3-4 were hit in St Peters Road. 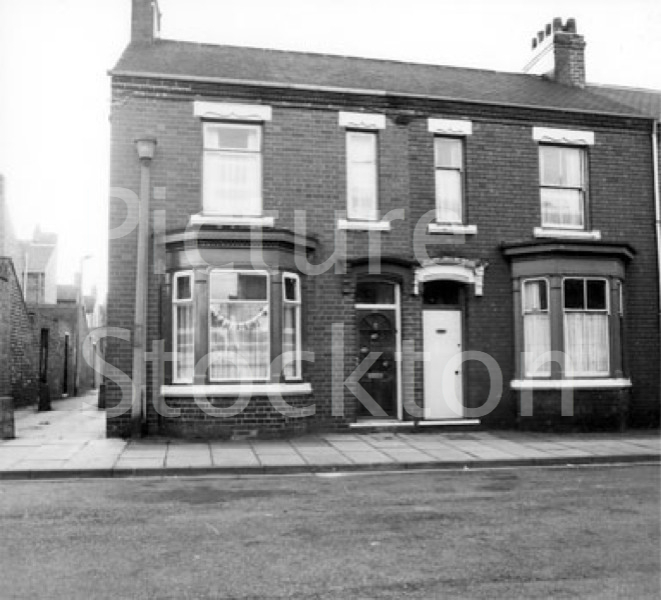 In Dennison Street number 19-20-21-22-23 were demolished and in Northcote Street numbers 85-86-87-88-89 which included Ferri”s ice cream shop. The youngest person killed was Edward Geoffry Brown three weeks old also his parents there was also Florence Cooper aged four. Seven people died, the number of injured is not noted. I was at the Richard Hind School and the school buses were stopped in town so we walked up to school not really knowing the extent of the damage. The boys had their school dinners in St Peters Hall also some of our lesson periods. We had to then have those meals and periods in the school hall until the area was cleared. In wartime news was restricted so as not to give aid to the enemy, it would not be widely broadcast. That was a night of heavy raids on the area. The nights of 11-12 May 1941, 15th August 1941 Blue Hall 19th August 1941 Pine Street will always be remembered by those of us still here and in my own case August 1940 when I lay on the road thinking why me as the bombs dropped on the Old Mill, it sounded like they were coming straight at me. I believe the burn marks are still in the road at Mill Lane as I took off doing the one minute mile into the Shelter at 8 Mill Lane. I was born at No10 StPeters Road on 19 July 1943. I understand that on or about 19 July German planes bombed St Peters Road whilst trying to bomb RAF Thornaby. They destroyed No 2&4 with a direct hit kids played on the bomb site for many years.